When planning your joyous wedding, you deserve to have the very best. This, of course, includes having the perfect location to celebrate your nuptials. If you’re in the Southern Highlands and are searching for the most dreamy wedding venue you could ever ask for, we have the perfect list for you. Below are the top 10 venues in the Southern Highlands, with enough information to get you a good headway on your search. • Jaspers Berry – If you’ve always dreamed of a fairy tale wedding, than Jaspers is where you need to book. Secret gardens, historic buildings, and an elegant dance hall will leave you and your guests smiling for days to come. They cover the whole day starting with your ceremony, cocktails and reception. This venue caters for their weddings, leaving you full and satisfied from their spectacular menu. Visit their website for more information. • Bendooley Estate – This beautifully historic country retreat can be the perfect location for your fabulous wedding. Settled on 200 acres, it offers various locations for your wedding, including two churches in nearby Berrima for your ceremony, the gardens, and the Book Barn, among others. Able to accommodate between 200 to 250 people, depending on your choice of location for your reception, means that no one has to be left out on your special day. With all that room you can also feature the best wedding bands and entertainment you can find, with no worries of neighbors getting upset at the party. Take a look at their website for more information. • Gibraltar Hotel – Simple, elegant and stress free. This venue has it all for those that are looking for beauty and simplicity. With wedding organizers there to help you plan your perfect day, you can let go of the stress that often comes from weddings. Floor to ceiling windows overlooking the golf course gives you a luxury you could only dream of before, and an elegance that will be remembered for ages. Able to host up to 280 guests, this place is perfect for all your large wedding needs. Visit their website, or call (02) 4862-8600 for more information. • Fitzroy Inn – Unique, historic, beautiful. This is the place for old world charm and modern comfort. With beautiful gardens and a lovely reception hall, you’ll be wanting for nothing. Wedding planners can help you set up exactly what you want, and the restaurant can seat up to 100, or if a cocktail reception is what you desire, up to 150 guests. (The Marquee can offer up to 250 as well, for those that need a larger venue accommodation.) With wireless PA, microphones and iPod connections included in every package, your wedding entertainment will be a breeze as well. There’s nothing you will be wanting for if you decide to marry at Fitzroy. Visit their website for more information. • Sylvan Glen – For those that want their wedding to last the entire weekend, than Sylvan Glen is exactly what you want. You’ll be able party with your loved ones, eat fabulous food and spend time in a gorgeous, well maintained location for a weekend you’ll remember forever. There are, of course, different packages to choose from, but the fact of the matter is you’ll have everything you need here (including a Groom’s Room for when the bride is getting herself ready for the wedding). You’re welcome to have any band of your choice, and a wedding planner will help you make everything perfect. Their website has more information for you as well. • Peppers Manor House – Set on the rolling green hills, this country estate exudes elegance. Meticulously maintained, this retreat is perfect for all your wedding needs. Able to hold up to 250 guests, but also offering a lounge for merely 20 (for those wanting a more intimate wedding), this venue will meet all your needs. With multiple, spectacular photography opportunities, and a chef on site and ready to serve your guests a menu to die for, this place will take the stress out of your wedding and leave you feeling like you’re living a dream. Easily one of the most beautiful wedding venues in the Scottish Highlands. For more information, visit their website. • Bawley Bush Retreat – Bawley Bush has the contemporary, casual wedding down pat. Iconic, beach front, and beautiful, your dreams will certainly come true here. Able to bet set up to your perfect desires, you can have exactly what you want where you want it. With multiple choices of locations at this venue, you have different sized capacities for up to 100 guests). This is a self-catering venue, allowing you to provide your own catering, while Bawley Bush will provide the venue and equipment. Check our their website for more information. 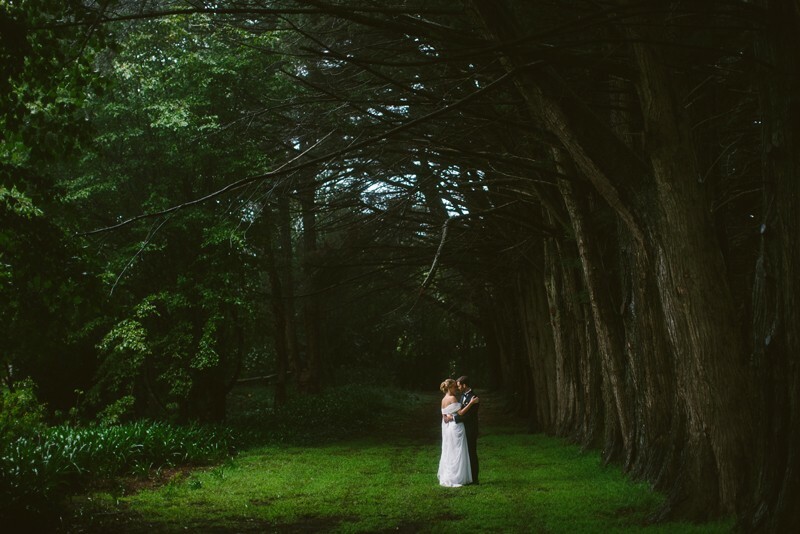 So if the Southern Highlands are your place to be for your wedding, check out these venues. Perhaps you’ll find your dream location among them. And if you’re looking for wedding bands and wedding singers, the top and the best bands in Sydney and Melbourne, or any other kind of wedding entertainment, you may just be able to find some through us. Check out their videos page! Feel free to contact Lily Road if you have any questions!